Ages 8-10 who have completed Level II: Jr. Ballet Stars - Designed for dance students in their 3rd, 4th and 5th year of training and includes barre technique and balance, flexibility, strength, center floor exercises incorporating the terms of classic ballet technique and positions, body placement, arm and leg coordination, poise, progression jumps and turns. Building on the foundation set by Basic Ballet, barre work exercises become more complex and of a longer duration to train muscle memory and increase flexibility. 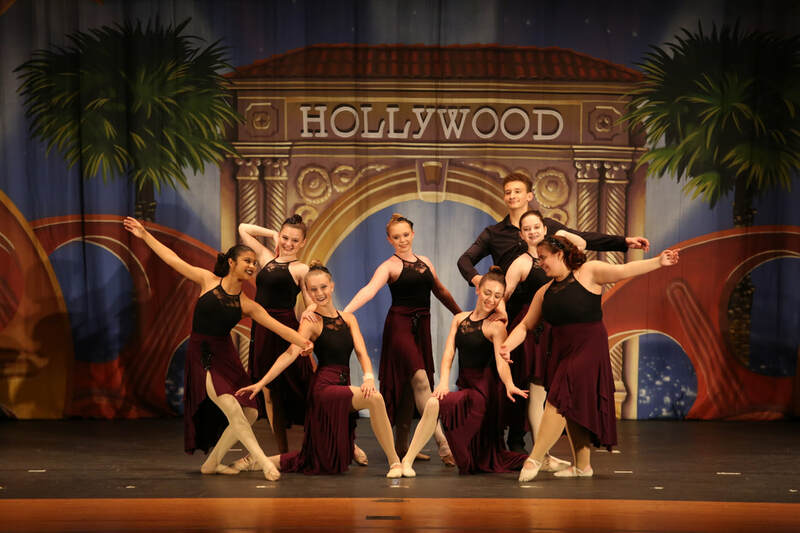 Special emphasis is placed on the dancer’s ability to connect and link steps for fluid movement, memorize patterns, and move through space while maintaining proper alignment. At this level we encourage the dancer to examine the combinations and plan ahead for self-correction. This level is typically repeated. Level IV - Ages 10-12 who have completed Level III: Designed for dance students in their 5th through 6th year of training and includes barre technique and balance, flexibility, strength, center floor exercises incorporating the terms of classic ballet technique and positions, body placement, arm and leg coordination, poise, progression jumps and turns. At this level there is a marked developmental leap, both in the technical aspects of class and in the seriousness with which training is taken by the dancer. This is the age when the young dancer begins to evaluate past experience in dance, and to question whether or not a career would be desirable. Training intensifies to match this period of self-evaluation. All past work is repeated in more complex combinations increasing strength, endurance, stamina and ability to link steps together in a fluid manner. Understanding of motivation, movement goals, imagery and presentation are stressed in order to develop better artistic expression. Pre- pointe is introduced at this level. This level is typically repeated. Evaluation for full pointe work is conducted at the end of the 2nd year. Level V, VI - Ages 13+ who have completed Level IV: Our intermediate/advance ballet program designed for teen through adult dance students includes barre technique, stretch, leg extensions (devlopés, fondu and petite/grand battements), balance, flexibility, strength, center floor exercises the terms of classic ballet technique and positions; body placement; poise; step and technique retention; progression jumps and turns; understanding choreography, style and performance. From this level forward the plasticity, coordination and smooth connection of movements of the arms, legs, feet, head and body is the primary developmental goal. Rhythmic patterns are emphasized and attention is given to aiding the dancer’s ability to “tune in” to muscular feelings. Emphasis is placed on greater stability and complexity in study of adagio and developing the smooth, graceful and subtle qualities in movement. Study of turning in open positions is part of daily routine at this level, as is the study of battu, petite allegro and grand allegro. Regular and repeated reference will be made to facilitate the dancer’s understanding of movement goals and ability to “self correct”. Pointe - Beginner and Intermediate/Advance. The dream of every young ballet student is to dance on Pointe. Proper care must be given to early technique training in order to fully prepare a student for the strength needed to dance "en pointe." Most students around age 11 or 12 in their 4th to 6th year of ballet training are physically prepared for the new challenge. However, it is the decision of the schools director based upon the student’s experience and strength. 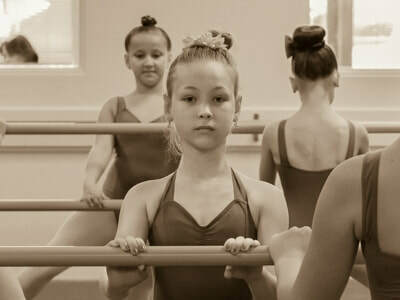 First year Pointe students will use the barre to develop more strength and confidence before being introduced to center floor work. Pointe classes are offered separately from regular ballet technique classes in order to safely build the strength required for full pointe work. Pointe Levels may be repeated based on the specific needs of each dancer, and advanced dancers are encouraged to wear their pointe shoes in all technique classes. Students who take Pointe must also take two Ballet classes.